A Chicago police officer was arrested Wednesday and charged with first-degree murder in the off-duty shooting of an unarmed man earlier this month. Tandra Simonton, a spokeswoman for the Cook County State’s Attorney’s Office, told the Chicago Tribune that Cook County prosecutors filed charges against Lowell Houser in the shooting death of 38-year-old Jose Nieves on Jan. 2. While few details have been given about the shooting, police have said that Nieves was unarmed and he and Houser had argued in the past. Houser, a 28-year veteran of the Chicago Police Department, was stripped of his police powers just after the shooting. Simonton said that Houser was in custody and expected to appear in bond court Thursday. This marks the second time this week that serious criminal charges have been filed against a Chicago police officer; another officer was arrested Saturday and charged with felony criminal sexual assault against an underage girl. The Tribune notes that charges against Chicago police officers in on- or off-duty shootings are rare. Mia Sissac, a spokeswoman for the Independent Police Review Authority, told the Tribune that the disciplinary agency has put its investigation into the shooting on hold as the murder charges go forward. It is interesting that IPRA would put their investigation on hold. According to the Tribune, Houser has been the focus of at least 20 disciplinary investigations since the early 1990s, and although most of the complaints resulted in no discipline or reprimand, he has been suspended several times. In other words, people kept reporting problems with Houser, but apparently no one took them seriously, and now a man is dead. It is worth noting again that the CPD has revealed very few details about the Nieves shooting. 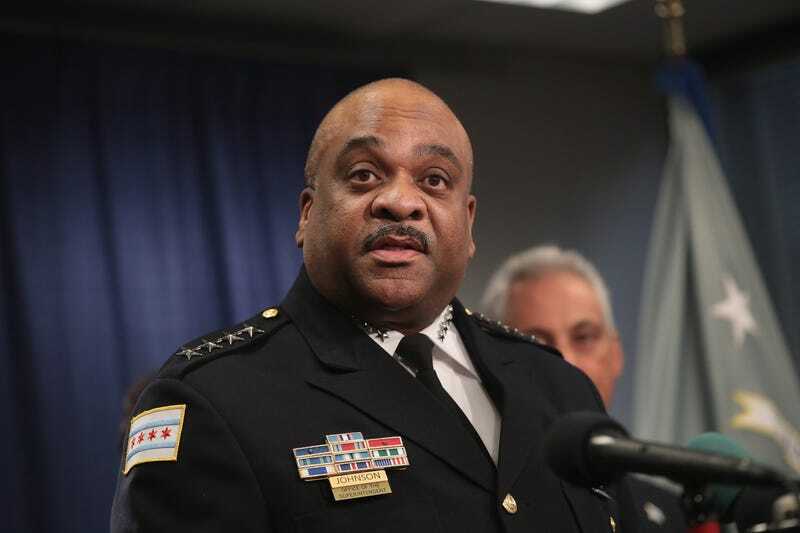 Anthony Guglielmi, a CPD spokesman, has previously said that police determined Houser was acting in a police capacity during the shooting even though he was off-duty and had a previous dispute with the victim. Being “off-duty” and “acting in a police capacity” sound like opposites, but until we are given more details, we will have to remain confused as to just how this shooting went down. The Tribune notes (as always in cases of victims of police shootings) that Nieves had previously been arrested by Chicago police multiple times, but according to Cook County records, he was never convicted of any serious offenses.